All OhhhBunny™ products are made from premium materials and rigorously tested to ensure maximum comfort and durability. Environmentally friendly and sustainable, we use only the highest quality silicone that is pliable, seamless and quickly warms to your body’s touch. We test and certified all our little critters under the supervision of international laboratories. Our bunnies are as safe and durable as they are naughty and nice! All OhhhBunny™ products are 100% phthalate free. Phthalates are chemical plasticizers that are added to plastics to increase their flexibility. Our little bunnies are very flexible without having to add all that harmful stuff. Our team is dedicated to developing toys that are not only beautiful, but also help you achieve your ultimate sexual experience. The goal behind the complex engineering of all our rabbit designs are to always deliver high performance. 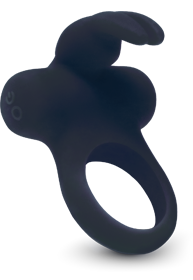 OhhhBunny™ products are made from medical grade silicone with a seamless finish. The material is pliable, durable and warms your body’s temperature quickly. Our bunnies are so velvety smooth that you’ll always want one by your side. Hush little bunny don’t say a word. 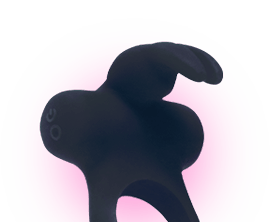 With our whisper quiet technology inside each bunny, you’ll hop into bed without disturbing the neighborhood – unless you disturb the neighborhood with your screams of delight. for all enquiries you may have about the bunnies.